If you’re planning to visit Helsinki on a tour through Finland soon, you’re in for one heck of an adventure. The Nordic countries are almost always good for a complete cultural mind-boggle. Plus, Finland is known as the country of the dancing lights, so you just know it’s going to be good. 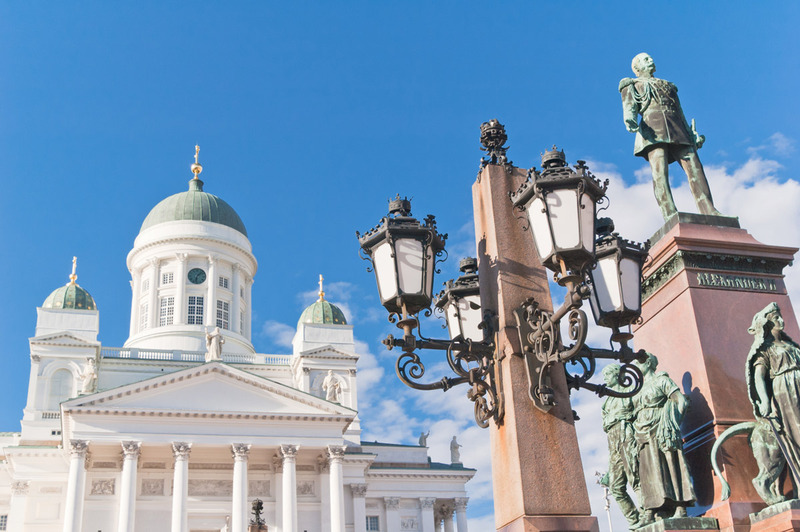 As the capital of Finland, Helsinki is bound to feature on your itinerary at some point if you’re headed to Suomi (as the Finnish refer to their country). This is great news, because Helsinki is such a cool, inspiring city to explore, even if you have very little time. To get you extra excited for a visit to this wonderful Nordic city, we’ve put together our ultimate guide on how to spend 24 hours in Helsinki. Have a look! Get an early start and a good look at what the weather will be doing today. If you’re visiting in summer, the weather is quite likely to be fair, but take a look regardless. Depending on where you’re staying, you could also ask hotel reception to give you a bit of a low-down. Once you know whether there’s a chance of any rain, you can decide on your mode of transport for the day. The city’s public transport system is top notch and works with the integrated Helsinki Card. If it’s looking a little miserable out, get a day ticket that covers the metro, bus and tram routes as well as the famous Suomenlinna ferry. If the weather is going to be nice, you can also choose to set out on foot (it takes less than an hour to walk from one side of the city to the other), or rent a yellow city bike in season. 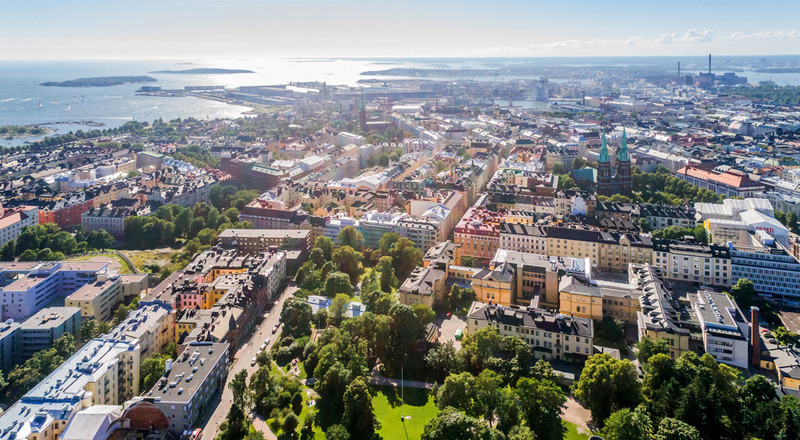 Aerial view of the beautiful city of Helsinki, Finland. The Finnish are big on coffee. And we do mean HUGE. In fact, they consume the most coffee per capita in the whole world (12 kg per year!). As such, a coffee shop is a great spot to grab some breakfast and get a good eyeful of the locals as they prepare to go about their day. In terms of food, we’d recommend a nice hearty breakfast to fuel your day of exploration. Do as the Finnish do, and grab some oatmeal (they swoosh it with cream, sugar and cinnamon) or an open-faced rye bread sandwich with cheese, cold meat and some veggie toppings. Unable to choose? Go for the best of both – the much-loved Karelian pie! This traditional savoury rye pastry is filled with porridge and served with toppings like smoked salmon or reindeer meat. It sounds strange but it taste divine! Lutheran Helsinki Cathedral. The Helsinki Cathedral is overlooks the city’s harbour and is a well-known feature of its skyline. It is an enduring symbol of the city and has been a top architectural visitor attraction since it was first designed by Carl Engel in the 1830s. Senate Square. Senate Square is located in front of the cathedral and features some of the best examples of Neoclassical architecture in the country. The Helsinki City Museum is nearby and every day at 17:49, visitors will encounter the Sound of the Senate Square – a sound installation that travels from one building to the next. Ateneum. The Ateneum is home to the biggest collection of classical art in Finland. The Museum of Contemporary Art Kiasma is conveniently located nearby, so you can move from the one to the next to enjoy a 360° appreciation of Finnish art through the ages. Helsinki Cathedral, icon of Helsinki. Feeling a little unsure about navigating yourself? No problem – simply hop aboard a tram. It’s a convenient and cost-effective way of getting round. Tram #2 will take you to most of the iconic tourist destinations in the city, while Tram #4 is all about the views. You could even take to the sky with the SkyWheel or head into virtual reality with the Flying Cinema Tour of Helsinki. It’s completely up to you! Two o’clock may seem a little late for lunch, but the Finnish often enjoy a late midday meal that tides them over well into the evening. By now you should be ready for a bite, but you don’t want to get bogged down in a restaurant for hours, right? Easy solve – street food it is! 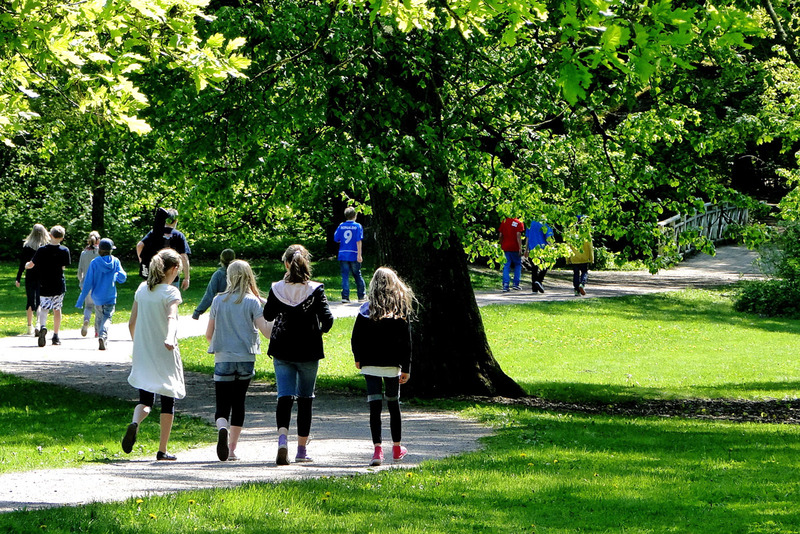 If you’re visiting in summertime, purchase an on-the-go meal and make your way to one of the city’s many green spaces. Sibeliuksen Puisto Park comes highly recommended. While you’re there, you can also take a gander at the epic Sibelius Monument – a striking part-abstract structure by Eila Hiltunen from the 1960s that features 600+ steel pipes in a wavelike shape in honour of Finnish composer Jean Sibelius. 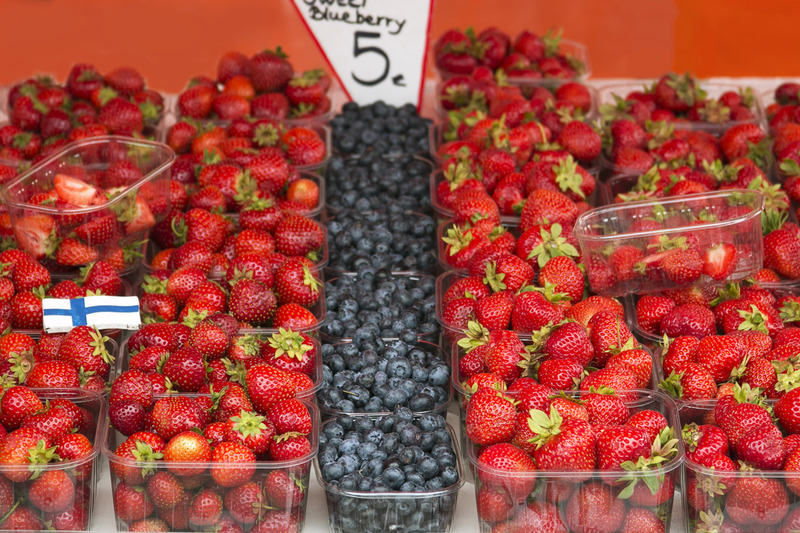 If the weather isn’t ideal for an al fresco lunch, we highly recommend a visit to Helsinki Market Square. Here you will find the Helsinki Old Market Hall (Kauppahalli), which has been operating since the late 1800s. This is the ideal spot to stock up on fresh artisanal fare from bakers, cheesemongers, butchers, delis and cafes. It also happens to be a great place to purchase a few authentic souvenirs such as Iittala glassware, Moomin merchandise, a traditional kantele (wooden stringed instrument) or Fazer sweets. The market is open Monday to Sunday 08:00 – 18:00, except during the winter when it’s closed on Sundays. Annual Event Alert: Restaurant Day started in Helsinki in 2011. The idea was that anyone could set up a pop-up restaurant anywhere they liked – at their homes, in their offices, on street corners, in parks, etc. Today the birthday of this fun notion is celebrated every year on the third Saturday in May. If your tour to Finland happens to coincide with this date, keep an eye out for all the wonderful eateries that pop up throughout the city. Life in Helsinki is all about the water. 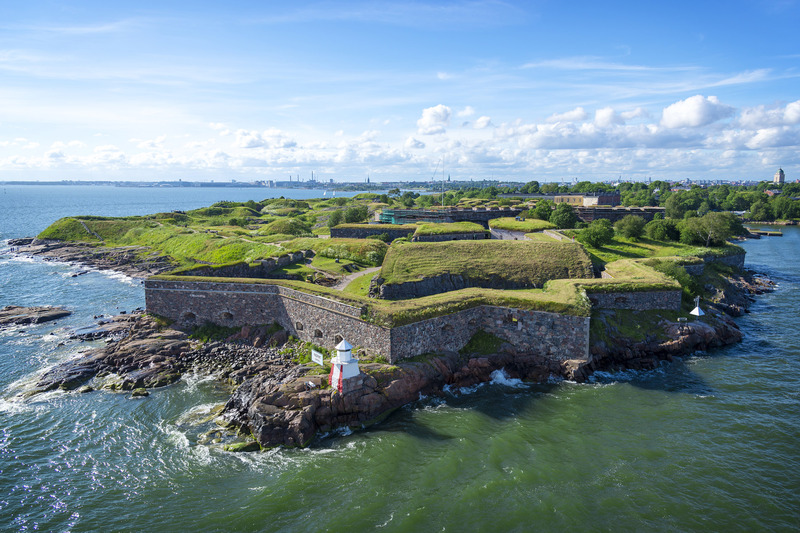 As a visitor to this pocket-size port town, you are pretty much obliged to take the ferry to the sea fortress and protected nature area of Suomenlinna – a UNESCO World Heritage Site and one of the most important historical sites in all of Finland. Alternatively, you could hop aboard the Beautiful Canal Route cruise that passes by some of Helsinki’s foremost waterfront attractions such as Suomenlinna Island, Korkeasaari Zoo, the icebreaker fleet and Degerö Canal. Feeling brave? Go for a swim! Winter swimming is a common pastime in Helsinki, and there are plenty of destinations that maintain open spaces in the ice where guests can take an icy plunge into the water to stimulate circulation and test their endurance. After a full day of exploring Helsinki, you’ll need a little time to relax and unwind. Fortunately, you’ll be smack dab in the middle of a city with countless saunas! Finland in its entirety is home to 3.5 million saunas, which just goes to show how series the locals are about their native pastime. It’s part of their daily routine, so taking some steam is a great way to ‘do as the Finnish do’. You get different kinds of saunas – smoke, wood stove and electric – so read up a bit to find a spot that will appeal to your taste. Annual Event Alert: Helsinki Sauna Day takes place in March each year. On this one day every year, little-known or underutilised saunas are opened to the public so everyone can enjoy a steam. The World Heritage Site of Suomenlinna. Helsinki as a city is young at heart. As such, you’ll easily find something exciting to do once the sun has gone down. Enjoy dinner at your hotel (or ask for a restaurant recommendation from your concierge), and then head out on the town. The pub scene is alive and kicking, and if dancing is your thing you are sure to find a club to your liking. Alternatively, you could see a show, take in an art exhibition or even enjoy an immersive food experience. Annual Event Alert: Helsinki Festival is the largest arts festival in Finland. It takes place over the course of 17 days from late August until early September each year. The programme line-up features classical and world music, theatre, dance, circus and visual arts as well as a range of urban events. Using this itinerary as a guideline is a great way to cram a lot of exploring into 24 hours in Helsinki. Adjust it to suit your taste and please send us some feedback if you use it on your tour of Finland. We’d love to see your travel pictures as well, so feel free to tag us (@expatexplore) in your social media posts as you explore Helsinki.